Alex James is an unlikely cheese maker. As Blur’s bass player, James claims to have drunk a million pounds worth of champagne in three years, whilst contributing to some of the most innovative and enduring records of the last twenty years, both of which I suppose are significant achievements, just in very different ways. All things come to an end, and the inevitable in-fighting and parallel success of Damon Albarn’s side projects left Blur on the shelf, leaving James free to try something new. Making cheese in the country was clearly the obvious choice. Blue Monday is a creamy Shropshire blue, sharp with a very faint sourness, named in honour of New Order’s eighties classic. It’s an excellent name, and a superb cheese. I’d love to see the newly reformed Blur back in the studio, but at the expense of James’ second career as a cheese maker? That’s a tough call. Blue Monday is available from Coxon’s Kitchen, a great little deli and cook shop on Gordon Terrace in Saltaire. Their website is here and their Facebook group is here, both of which, along with the shop itself, are well worth a visit. As for Blur, this could have been Tender, Beetlebum, Girls and Boys, To the End, No Distance Left to Run, Charmless Man, There’s No Other Way, Song 2 or any one of a dozen more. Just be thankful I resisted the temptation to drag up that bloody awful Fat Les abomination. How brilliant!! a cheese named after a song!! Wasabi Prime – I heard the other day that they serve this in a little bar in Leeds that has the most awesome selection of beer you've ever seen. Their idea of a square meal is a chunk of this, a large doorstop of bread, some pickles or chutney on the side and a pint of something continental. i can't argue much with that. Understanding Alice – yes, kinda cool indeed, and very tasty too. baobabs – I've never heard of naming cheese after songs before either, but it does seem to work – maybe this is a trend starting? Aside from the great cheese review, thanks for posting a link to the marvellous 'Out of Time', possibly my favourite Blur tune. I hope you'll be giving Martin Platt's ('offa Corrie') cheese a try too – also available at Coxon's. What bar sells this cheese? who would have known a bass player could make some decent cheese… looks great! That was fun! Love the cheese! 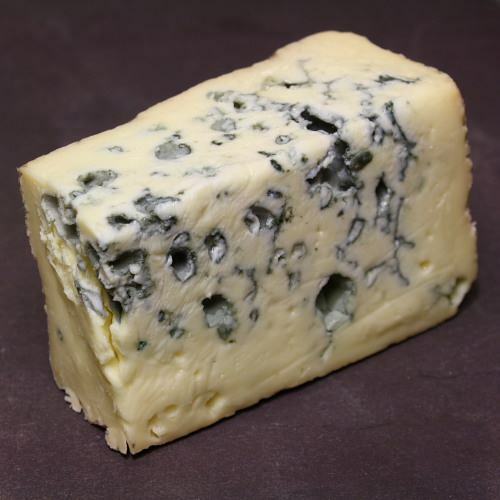 Great article; cheese and Blur – two of my favourite things! Alex James’ Blue Monday cheese is now available in-store at Millies (Leeds city centre)! I serve it in my restaurant as my main blue cheese it is as good as Strathdon if not better.